The rise of Mixed Martial Arts over past decades has prompted many MMA fighters to come to Thailand to improve their overall fight game. 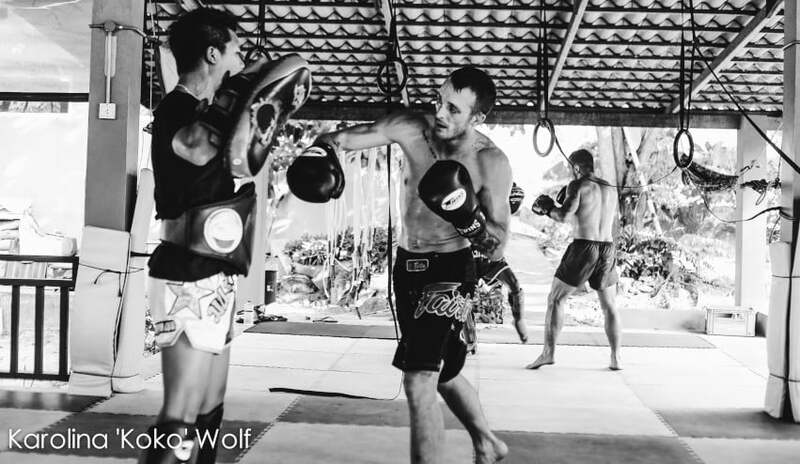 As a means of increasing, stamina, power & striking, there are few sports on the planet to match the results of Muay Thai Training. 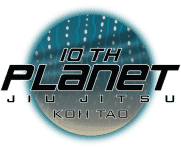 Our trainers have many years of experience, loads of professional fights in their background and are able to communicate fairly well in English as well as Thai. We are able to teach beginners all the way to professional fighters at any of our group classes as there are many trainers. We can also arrange private sessions for those who would like to start slowly or for those looking to get specific skill training. 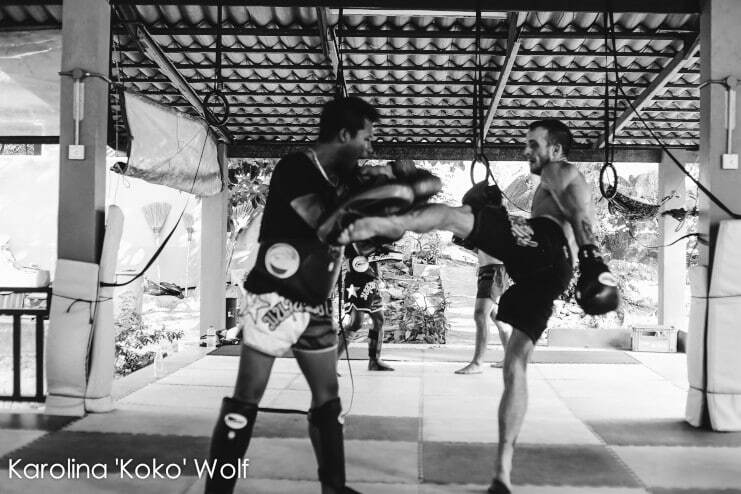 Known as ‘The art of 8 Strikes’, Muay Thai fighters are skilled in various kicks and punches, as well as elbow & knee strikes from both sides of the body. Muay Thai training starts with stretching to loosen up, then cardio training – either a light run or a few minutes of skipping rope. This is followed by intermittent bag work & striking with our trainers, usually making four 3-minute rounds. Each round is followed by a 3-minute session of bag work & 3 minutes of rest. At the end you’ll do an ab/core circuit & further stretching. It’s a simple process, but results are achieved quickly. As you progress, we’ll introduce stand-up grappling skills & sweeps, and finally we’ll get you into the ring for sparring sessions with other trainees. 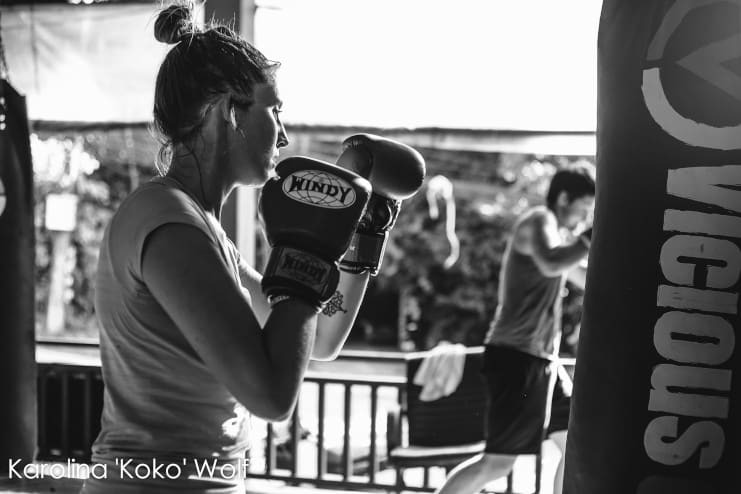 For those willing to test their skills in a real Muay Thai fight, we’ll arrange that for you at one of the Muay Thai events that happen 3-4 times monthly on Koh Tao.